Wern Farm Caravan Park and Holiday Cottages is located about 2 miles from Conwy and is a perfect base for exporing North Wales. Whether you are looking for adventure activities, tourist attractions or just want to enjoy the scenery, you will find plenty to do during your stay. Wern Farm lies at the edge of the Snowdonia National Park just a few miles from the sae at Conwy so you can explore both the coast of North Wales, and the mountains of Snowdonia. There are many castles to visit in the area. Conwy Castle in the walled town of Conwy built by Edward II, and Penrhyn Castle outside Bangor are nearby. 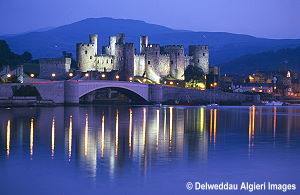 There are also castles at Criccieth, Beaumaris, Dolwyddelan, Harlech and Caernarfon within easy reach. 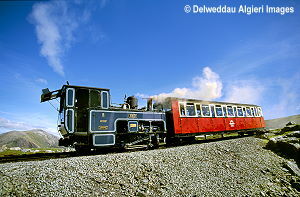 Wales is famous for steam railways and there are many of them to visit from Wern Farm. The Snowdon Mountain Railway runs to the peak of Snowdon from Llanberis, and the Ffestiniog Railway runs from Blaenau Ffestiniog down to Porthmadog where it now connects with the Welsh Highland Railway that runs from Porthmadog to Caernarfon via Beddgelert. 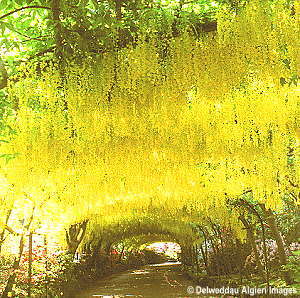 The famous Bodnant Garden (National Trust) is just down the valley and is a garden well worth visiting at any time of year. The Italianate village of Portmeirion also has extensive gardens, and was made famous by the original TV series 'The Prisoner'. Local villages and towns to explore include the walled town of Conwy, and Betws-y-Coed (with a large selection of outdoor activity shops). 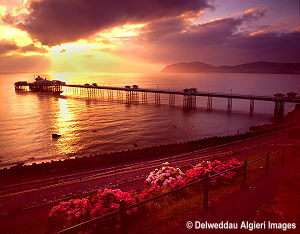 The victorian resort of Llandudno with it's wide promenade, unspoilt seafront and tramway is close by. There are numerous activities to enjoy in this beautiful part of North Wales including walking, climbing and mountain biking. The newly opened artificial surfing lake Surf Snowdonia is just up the valley, where you can surf in all weather conditions. The Marin Trail mountain biking routes start from Llanrwst, and there is also a mountain bike trail nearby at Penmachno.
" Really relaxing and peaceful. A good central location for many different places. Well maintained and good facilities. We will definitely be returning.. "
" Lots of close by walks and the Town of Conwy is only five miles away we will definitely be back. "